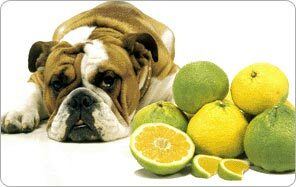 UGLI® is the registered trade mark under which Cabel Hall Citrus Ltd. markets its brand of tangelos from Jamaica. The fresh flavour of UGLI® is delicious in many recipes, adding a subtle tang to both sweet and savoury combinations. Being easy to peel, with generous sized segments, the fruit lends itself to many dishes. It is exceedingly juicy, and has a flavour that does not need added sugar unless you have a very sweet tooth. The simplest way to serve UGLI®, is to cut them in half, loosen the segments, and eat with a spoon - this is a delicious breakfast dish. For lunch or dinner, try sprinkling with sherry or Kirsch, and serving as a first course, or offer UGLI® as a fruit course for dessert. UGLI® come in different sizes varying in diameter from 4 inches (10 cm.) to 6 inches (15 cm.) and many varieties of colour from green to greenish-yellow, to yellow, and some even orange! They are only harvested and sent to market after they have ripened on the tree, so what is found in the store is always ripe fruit even though the skin may be green. Inside, the flesh is always orange to deep orange, and although the early season fruit in December and January is slightly more tangy than the later season fruit, they are all sweet and juicy! UGLI® is a registered trademark of Cabel Hall Citrus Limited, for its brand of tangelos.